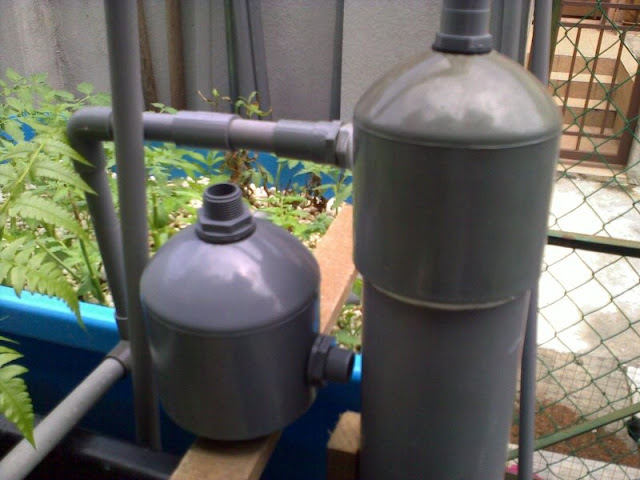 I'm building my new Aquaponics setup, Bell Valve and Grow Bed already done. Prefilter need to be upgraded to 20 mm pipe input from current 15 mm. 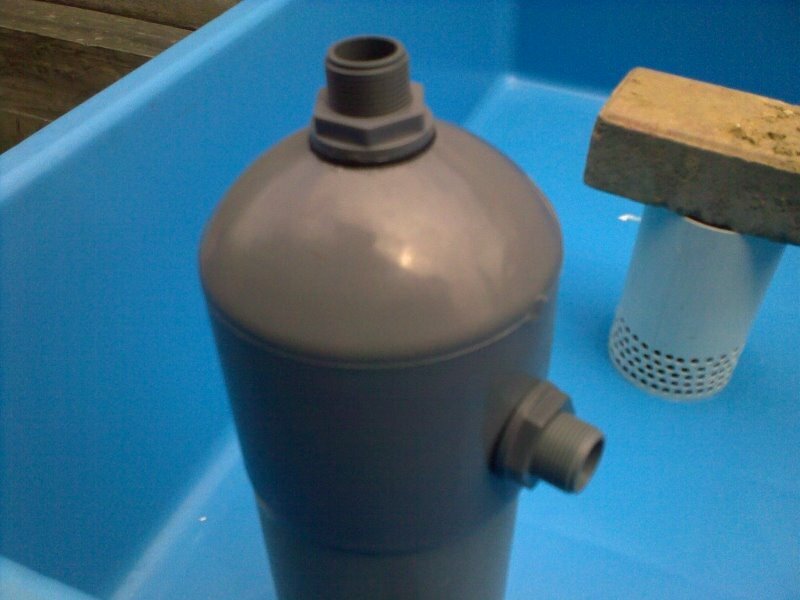 Above photo, are the components necessary for water/solids separation part in the filter. Other item needed are casing made of PVC pipe 100 mm and another end cap with hole drilled at the bottom for ball drain. 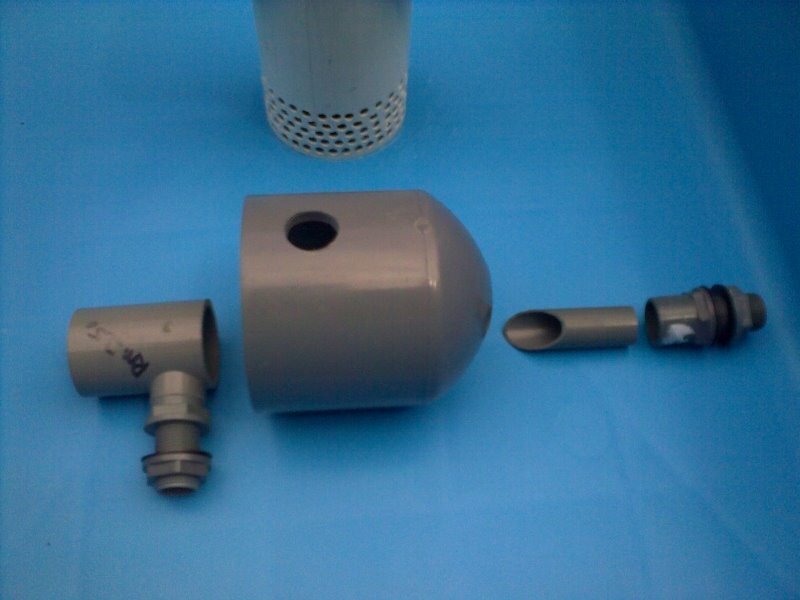 40/20mm (1 1/2" - 3/4") Tee attached to a 20 ( 3/4") mm water tank adapter. 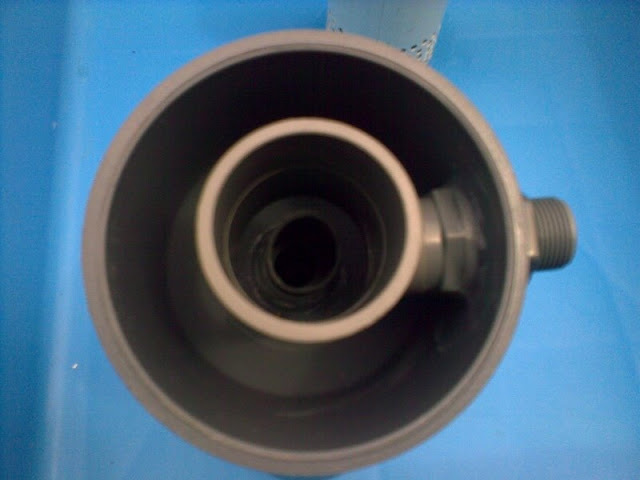 100 mm (4") end cap drilled 2 holes, top and side - for 20 ( 3/4") mm water tank adapter. 20 mm ( 3/4") water tank adapter. The Tee is cut at 2 part, 1st at the 20mm connection and 2nd at one end of the 40mm this to ensure the assembly fit inside the end cap. After assembly this is how it looks like, use silicone sealant to ensure no leak on both connection. Another angle of the complete end cap that needed to be assemble to form a filter. This how it should look like from outside. 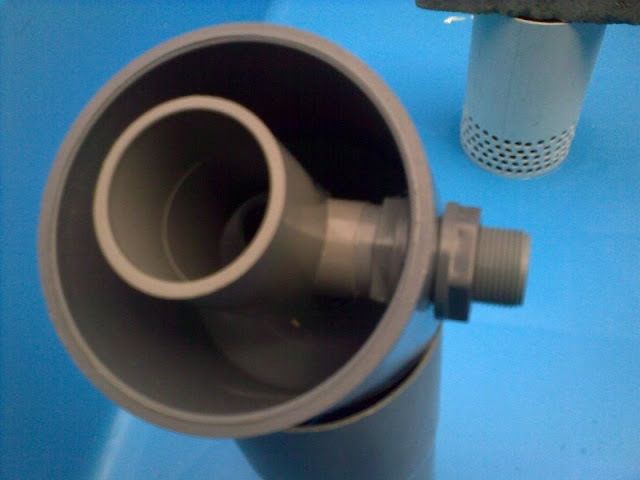 The new filter end cap with separator part ready to replace the old end cap with the 15 mm inlet and outlet. Link to filter design is here.